In Susanna Calkins's next richly drawn mystery set in 17th century England, Lucy Campion, formerly a ladies' maid in the local magistrate's household, has now found gainful employment as a printer's apprentice. On a freezing winter afternoon in 1667, she accompanies the magistrate's daughter, Sarah, to the home of a severely injured Quaker man to record his dying words, a common practice of the time. The man, having been trampled by a horse and cart the night before, only has a few hours left to live. Lucy scribbles down the Quaker man's last utterances, but she's unprepared for what he reveals to her—that someone deliberately pushed him into the path of the horse, because of a secret he had recently uncovered. 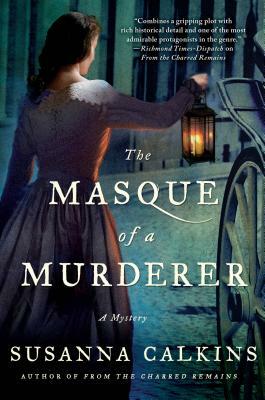 Fearful that Sarah might be traveling in the company of a murderer, Lucy feels compelled to seek the truth, with the help of the magistrate's son, Adam, and the local constable. But delving into the dead man's background might prove more dangerous than any of them had imagined.